Speaker Gingrich caused a small stir the other day when he referred to the Palestinian people as “invented.” Gingrich typically prefaces these statements with phrases like “let’s be honest.” The preface “let’s be honest” is designed to signal the hearer that Newt has the truth and you are about to hear it. It implies that up until now all discussion about the point (in this case the construction of Palestinian national identity) has been tainted by indirectness, vagueness, avoidance of what’s “real,” and the dreaded political correctness. Newt Gingrich considers himself an intellectual and a historian. And although I cannot imagine myself voting for Gingrich, I do enjoy listening to him and appreciate his argument-based approach to politics. Newt can make an argument and offer a perspective, something which I enjoy and appreciate always keeping in mind the difference between “perspective” and “bias.” But the speaker can tout his historian credentials all he likes; he remains shallow and incomplete with respect to a variety of issues – Palestinian peoplehood in particular this time. I’m waiting for one of Newt’s challengers to point out that all collectivities, all national identities, all “peoples” are invented. Gingrich’s claim that the Palestinians were Arabs living on the outskirts of the Ottoman Empire and never constituted a national or political entity – complete with state institutions, internal infrastructure, and recognition – is defensible enough. He is sort of technically correct. When the state of Israel was declared in 1948 there was no existing Palestinian state in the full sense of the term that was displaced by Israel. In fact, there was no consistent and organized call for a Palestinian state until about 1967. Many Arab leaders in that region of the country considered themselves to be part of Syria. Evidence has been marshaled to defend this point, namely, that most of the land acquired by Israel up until 1948 was purchased legally, the Arab Muslim population was migratory, and that some testimony before the Peel Commission suggested that the word “Palestine” was a Zionist invention. But none of this matters. Gingrich doesn’t understand that all political and national entities are “constructed” and come into being over time. 100 years ago there was no Saudi Arabia or Lebanon or Syria. These “peoples” were formed as a result of political alliances. The speaker has perhaps fallen into the trap of believing that because his own national group (American) is older and more established it is somehow more authentic. A society and its national institutions are constructed on the basis of cultural unity. 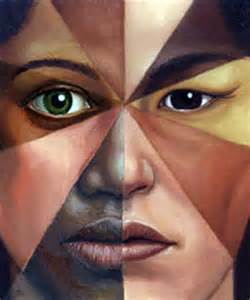 If a group of people live amongst one another long enough they have the basis for inclusion and exclusion (ancestry, language, religion,). The attachment to a collective category such as national group (e.g. Palestinians, Canadian, French, Saudi) is primarily symbolic and utilitarian in some important ways. Thus, any time a collective group mobilizes in pursuit of goals and has a loyalty to this collectivity, including a preoccupation with its preservation, they are cementing their sense of peoplehood. Even if we accept a conservative estimate the Palestinians have been organizing themselves around instrumental societal institutions for 50 years. They have constructed themselves in a manner consistent with acquiring control over resources, the solution to problems, and a defense against enemies. The basis for inclusion in the Palestinian national identity is no different than any other; it is by birth, language, and a commitment to the well-being of the collective identity. There are few, if any, national categories or groups in reality. There are always influences from other groups, languages, and ideologies and definitions of collective identities vary somewhat on the basis of emphasis or orientation. Hence, there are Christian Palestinians as well as Muslims and groups whose ethnic descent varies somewhat from others. There are a few common characteristics that describe the development of a national identity. These characteristics tend to represent a pattern of evolution from scattered bands of people to a cohesive collective identity that has persistence. First communities undergo changes from a minority to majority conception of themselves. They see themselves as the dominant voice and presence in a geographic area. This process is still incomplete in the case of the Palestinians but is clearly moving forward. Gaza, the West Bank, and other disputed land must be settled first. Related to this, is the fact that Palestinians have moved from a pan Arab sense of themselves to a more precise definition of their own boundaries as a collectivity. Secondly, the Palestinians have increasingly focused their attention on development in the future rather than surviving the past. This too is still in the early stages and will progress as the Palestinians acquire structures and control of resources that have an impact on their own political well-being. Third, the act of inventing one’s sense of being a “people” is advanced as institutions advance for the realization of group interests. Turning to institutions as a mechanism to satisfy collective interests is superior to relying on tribal or ethnic affiliations and begins the process of transcending ethnicity and forging a civic identity rather than an ethnic one. Speaker Gingrich needs to develop a more refined sense of how a people come to be. Why would a possible president of the United States even make such a statement? It is not only shallow but unproductive and certainly not conducive to a peace process. As of now, the speaker is stuck in simplistic categories of what groups are deserving of national identities. He thinks of these categories as finite and established; he thinks of them as nouns when in actuality they are verbs. Posted on December 12, 2011, in Communication and Conflict Resolution and tagged ethnicity, Gingrich, group identity, nationalism, Palestinians. Bookmark the permalink. 1 Comment.